As you may already know, dreams are manufactured by our subconscious. The subconscious remembers our life’s events and interpretations of those events. All of this is stored in our subconscious in a bio-chemical form. When we dream, we are accessing those memories and placing them within a certain “order” in our brain’s “memory banks”. When reviewing these memories, they are merged together in a way that can make little sense to our conscious minds. This is the reason why dreams can appear to be so bizarre when we remember their contents. But dreams can also have another use beyond merely reviewing our memories and filing them away. They can also be used for other valuable purposes, since they form a link between our conscious and subconscious minds. Additionally, dreams can also form a link between our perceptions and create communication between us and the Universe, as well. But the most practical way to begin is to learn how to act within our dreams using our conscious minds. Technically, this is known as “lucid dreaming” and its study is quite popular for a number of individuals. You can look this up online and you can find a lot of different ways to achieve this particular dream state. However, I’m going to simplify a way for you to utilize this method of dreaming. Understanding the nature of dreams. First of all, you need to understand that this is not a simple endeavor. If you want to be able to use your dreaming abilities, you need to be diligent when it comes to pursuing this goal. The first step is actually the most difficult for many people. That step has to do with creating the link between the conscious and the subconscious minds. This is begun through “Intent”. So, throughout your day, take a moment and reflect on your desire to remember your dreams. Do this several times a day. Then, you should have a notepad and pen by your bedside. At the top of the page, you should have written; “I will remember my dreams”. Just before retiring to bed, you should look at what you have written and say it out loud. Upon awakening, you should use one of the blank pages in your notebook and immediately write down any details that you can remember from your dreams. This practice is designed to form a habit that becomes ingrained in your mind. As time goes on, you will discover that you can remember your dreams. 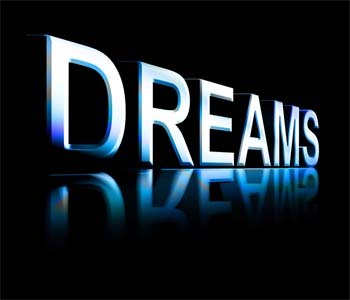 For those who already find it easy to remember their dreams, a greater amount of detail will now be recalled. Once this particular connection is made from your conscious mind to your subconscious, you can begin to form a relationship. This relationship has the advantage of being useful for both metaphysical and non-metaphysical purposes. These will be outlined in the fifth lesson.